The Royal Life Saving National Drowning Report 2014, which has been launched in Parliament House, Canberra today (Tuesday September 30th) by The Hon Peter Dutton MP, Minister for Health, Minister for Sport, outlines the tragic loss of life to drowning in communities across Australia, in waterways of all types. 266 lives were lost to drowning in Australian waterways between 1 July 2013 and 30 June 2014. Royal Life Saving says this is a “moderate but promising” 10% improvement on the 2012/13 report (which had an adjusted total of 295 drowning deaths). The Royal Life Saving National Drowning Report 2014 shows a promising reduction in the number of people drowning in Australia but “it is clear that more work needs to be done in reducing the number of drowning deaths in our rivers, creeks, lakes and dams” says the CEO of Royal Life Saving, Justin Scarr. The report reveals 266 people drowned in Australian waterways between 1st July 2013 and 30th June 2014, 39% of these occurring in inland waterways. 266 people drowned in Australian waterways between 1 July 2013 and 30 June 2014. This is a reduction of 29 deaths on the 295 recorded in 2012/13 and is the lowest number of drowning deaths recorded in the past 12 years. Inland waterways continue to claim the largest number of lives, with 105 drowning deaths in rivers, creeks, lakes and dams around the country. Inland waterways accounted for over a third (39%) of all drowning deaths around the country in 2013/14. 81% of all drowning deaths in Australia are males, 215 males drowned last year compared to 51 females. Despite a spike in 2012/13, there is a reduction in the number of drowning deaths among children under five. There were 20 drowning deaths recorded in children under five, the lowest number on record since 1995. Swimming pools continue to pose the greatest risk for children under five, accounting for 70% of all drowning deaths in this age group in 2013/14. For the first time since 2010, swimming pools have overtaken beaches as the location with the second highest number of drowning deaths, with 39 deaths, compared to 34 at Australian beaches. People aged 55 plus accounted for one third (33%) of all drowning deaths in 2013/14, with 87 fatalities recorded. There has been a 43% increase the number of young people aged 15 to 24 drowning in Australia, with 40 deaths in 2013/14, compared to 28 in 2012/13. Alcohol was known to be involved in 18% of all drowning deaths. Almost half (49%) of those who were known to have consumed alcohol, recorded a blood alcohol reading that was four times the legal limit (0.2mg/L) or higher. Inland waterways continue to claim the largest number of lives around the country with 105 people drowning in rivers, creeks, lakes and dams around the country in 2013/14. “Most Australians are surprised that inland waterways claim the most lives each year, more than any other location including beaches and swimming pools. With an increase in the number of drowning deaths at inland waterways this year, Royal Life Saving is committed to developing community driven solutions in river drowning black spots around the country. We are pleased to have the support of the Federal Government in undertaking this challenging, but vitally needed work” Justin Scarr Royal Life Saving CEO says. The Royal Life Saving National Drowning Report 2014, Royal Life Saving’s 20th National Drowning Report, will be officially launched at Parliament House in Canberra by The Honourable Peter Dutton MP, Minister for Health and Minister for Sport, at 11:30am on Tuesday September 30th. Men continue to drown at a rate that is over 4 times that of women. 215 men drowned in Australian waterways in 2013/14, compared to 51 women. “We urge men to think seriously about their safety and the decisions they are making when boating, fishing, and swimming. We see high levels of alcohol consumed, a disregard for safety equipment such as lifejackets and in some cases men ignoring weather warnings when boating and fishing”, Justin Scarr Royal Life Saving CEO says. Despite a spike in drowning deaths in children under five in 2012/13, there has been a return to the downward trend with 20 drowning deaths among children under five in 2013/14. This is the lowest number of drowning deaths in children under five on record since 1995. “Royal Life Saving is encouraged by a continued reduction in drowning deaths in children under five, to the lowest number in 20 years. However, still too many families grieving children lost in preventable drowning tragedies. The home swimming pool, claim the lives of 70% of all drowning deaths in children under five.” Justin Scarr, CEO Royal Life Saving says. For the first time since 2010, swimming pools have overtaken beaches as the location with the second highest number of drowning deaths. There were 39 lives, across all ages, lost in swimming pools around the country in 2013/14, compared to 34 drowning deaths at Australian beaches. Drowning deaths among older people continue to cause concern. There were 87 drowning deaths in people aged 55 and over in 2013/14, representing one third (33%) of all drowning deaths. This is a reduction of 24%, on the 114 drowning deaths recorded in this age group in 2012/13, but the figure shows little change against the 10 year average. “Older people are reminded to check their skills, health and fitness before swimming, boating, fishing, kayaking and the many other popular ways to enjoy the water this Summer. If you haven’t been in the water recently, check your skills in a controlled environment, such as your local swimming pool, prior to boating or swimming at your local river or heading to the beach. Programs such as Royal Life Saving’s Grey Medallion program and Adult Learn to Swim classes are a great way to improve your skills and fitness” Justin Scarr says. There has been a concerning increase in the number of drowning deaths in young people aged 15 to 24 years, Forty young people drowned in 2013/14, a 43% increase on the 28 deaths recorded in this age group in 2012/13. Rivers, creeks and streams are the leading location for drowning deaths among young people in Australia, with 13 deaths, an increase of 18% on the 10 year average. For the first time, the Royal Life Saving National Drowning Report 2014 has examined the time of the drowning incident, as well as the day of the week the drowning incident occurred on. In 2013/14, the largest number of drowning deaths took place on a Sunday, with 67 deaths, one quarter of all drowning incidents recorded. Drowning was most likely to occur in the afternoon (12:01pm to 5pm), accounting for 100 deaths, or 38% of all drowning deaths in 2013/14. 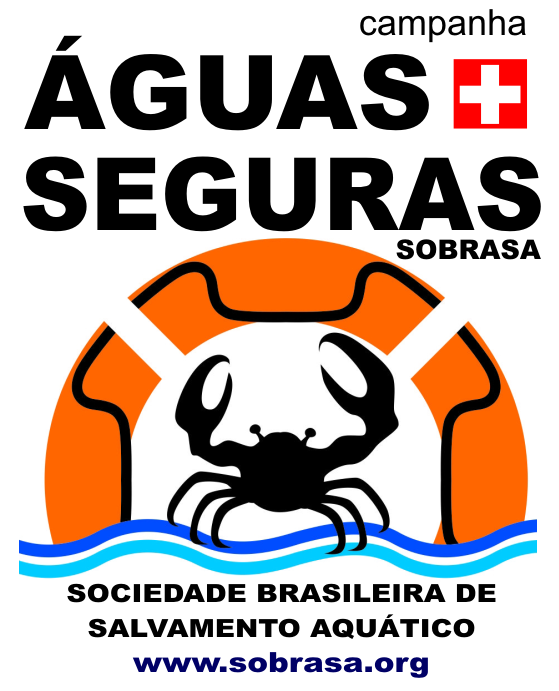 The 2014 Report also identifies drowning risk factors that play a role in some of the 266 drowning deaths in 2013/14. Underlying medical conditions can increase the risk of drowning and were known to be involved in 27% of drowning deaths, most commonly in those aged 55 years and over. We ask everyone to visit www.youtube.com/RoyalLifeSavingAust view our videos and share to save a life. 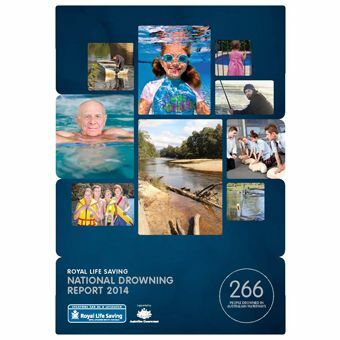 Download details of the full Royal Life Saving National Drowning Report 2014 here. Download PDF Copy of the Royal Life Saving National Drowning Report 2014 here.